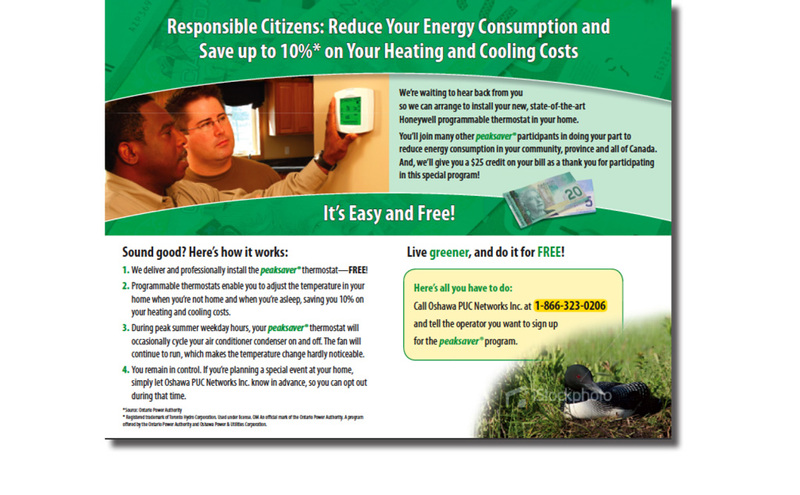 Directed at Canadian residential customers, who have demonstrated a committment to green living and a desire for energy savings, this postcard was written to convince recipients to sign up for the program by calling a toll-free number. • Increased participation in the Peaksaver program. • Increased brand awareness and goodwill for Honeywell brand.